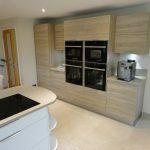 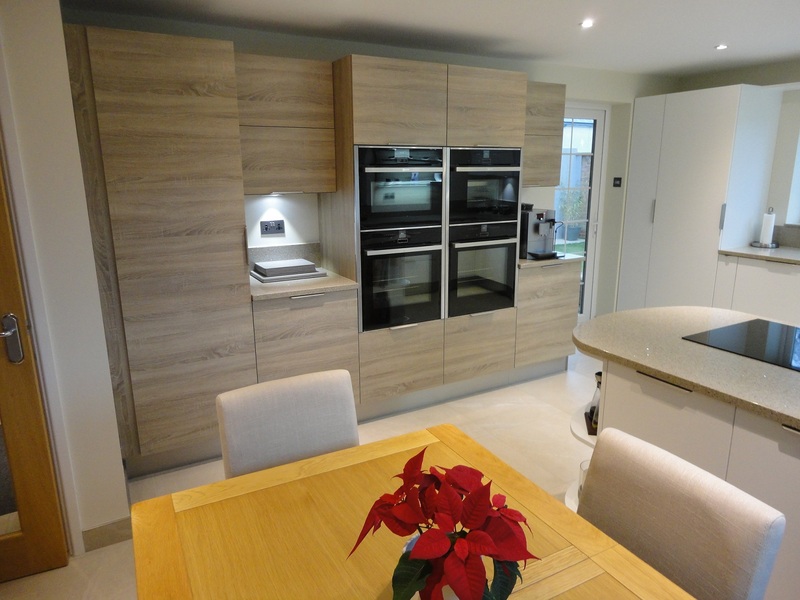 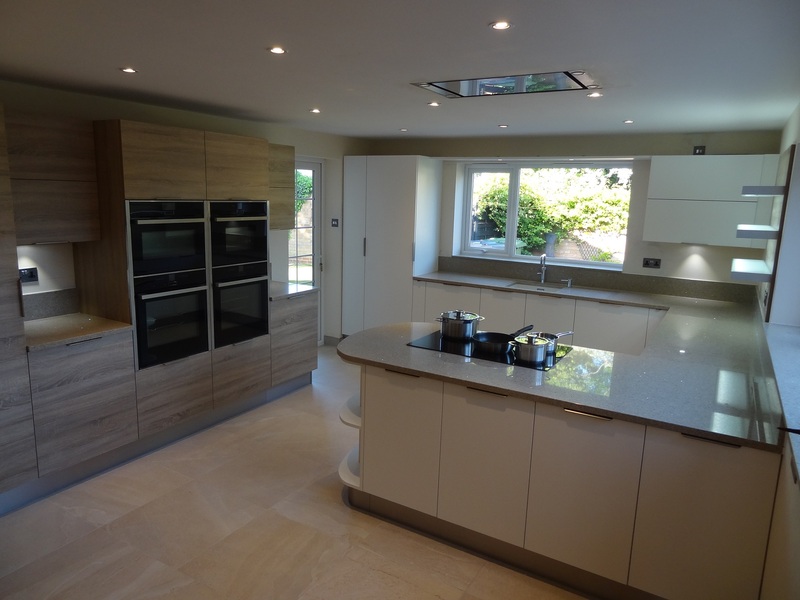 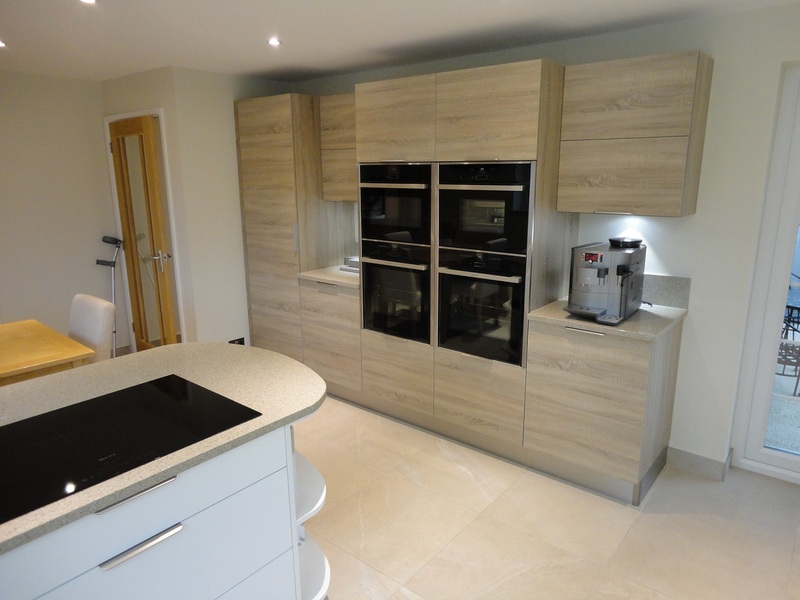 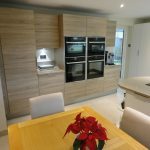 This beautiful space was created with Matt White Painted doors with an accent of Grey Bardalino. 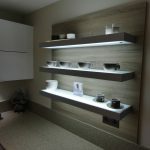 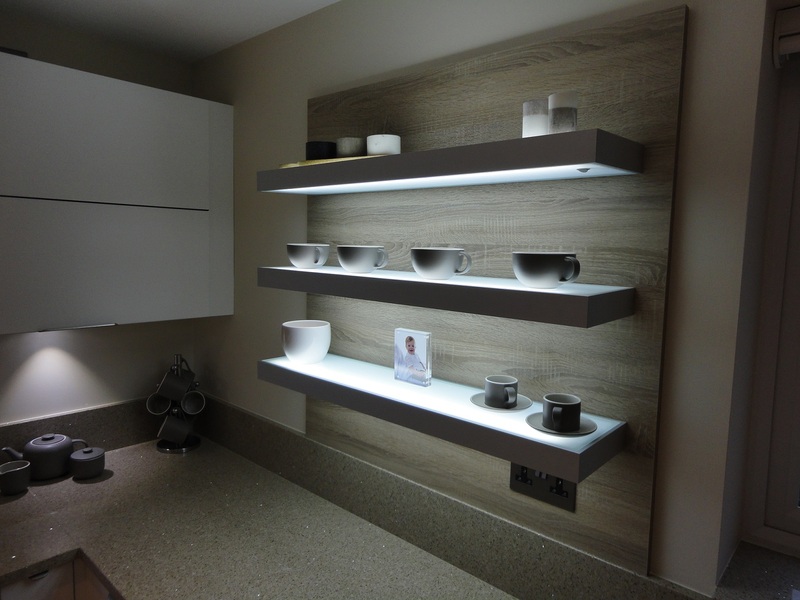 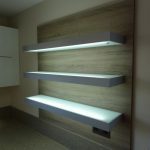 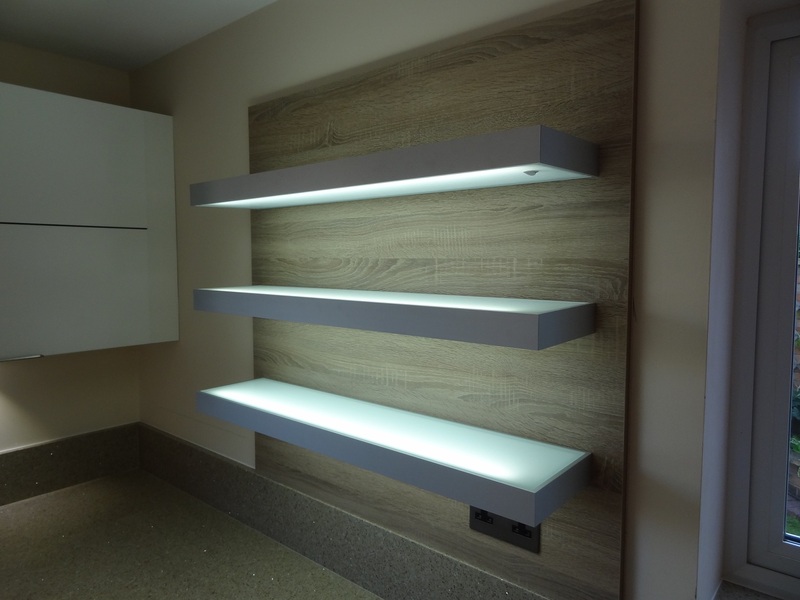 We have carried the Grey Bardalino into the main kitchen area by creating a matching splashback to house 3 LED light shelves, another beautiful way of displaying items within your kitchen. 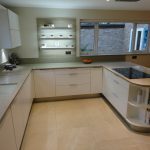 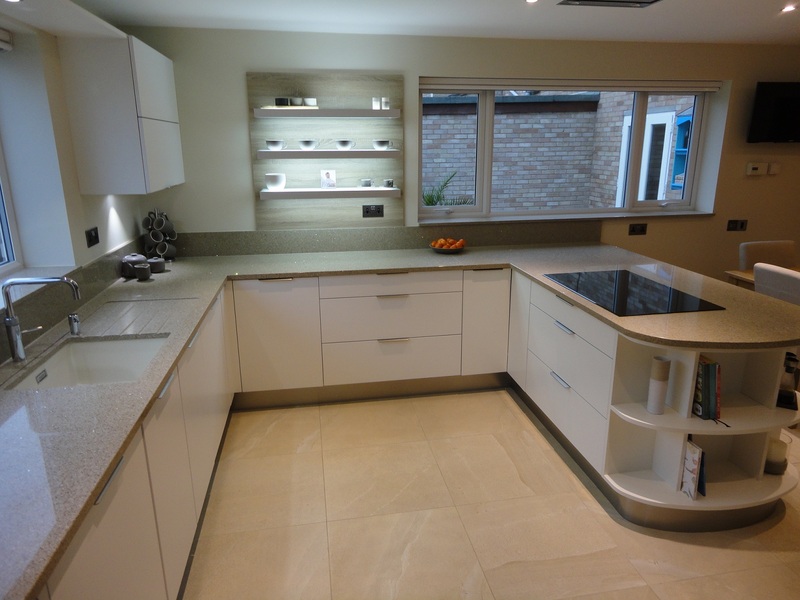 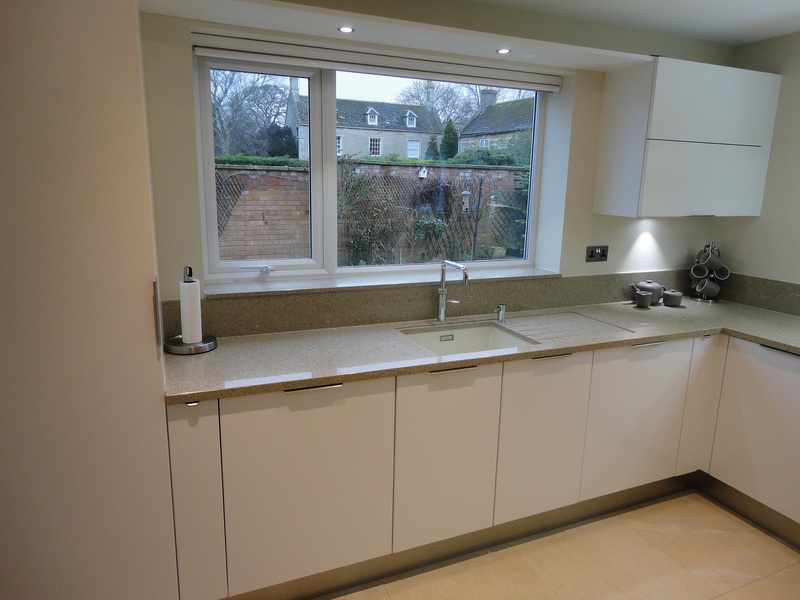 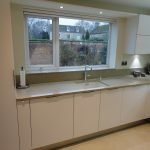 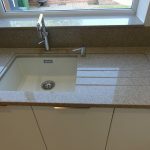 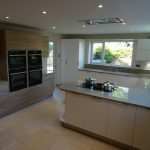 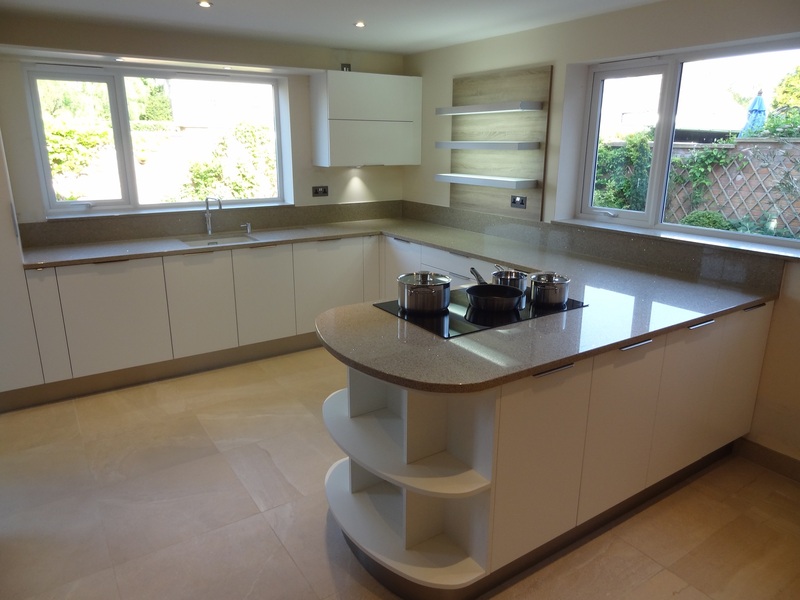 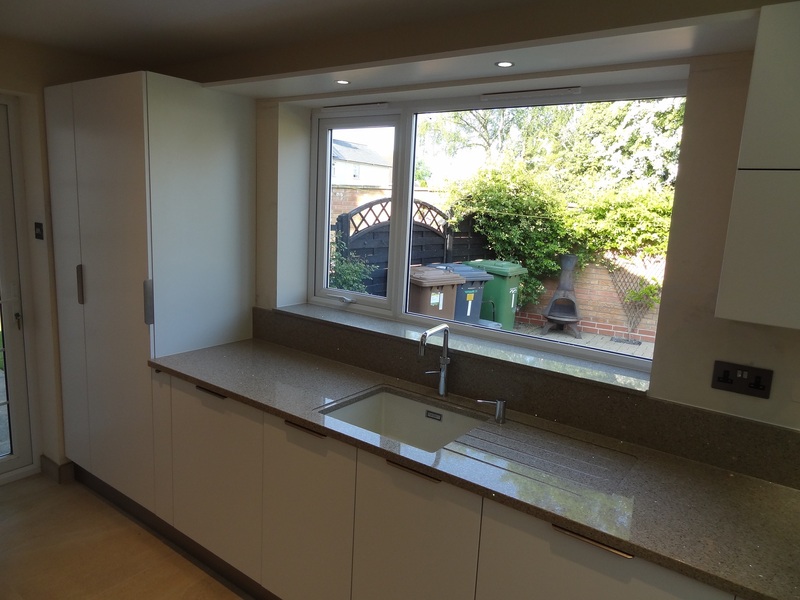 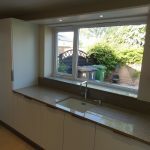 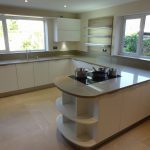 The undermount sink has been set in a recessed drainer with drainer grooves which has made within the quartz worktop itself. 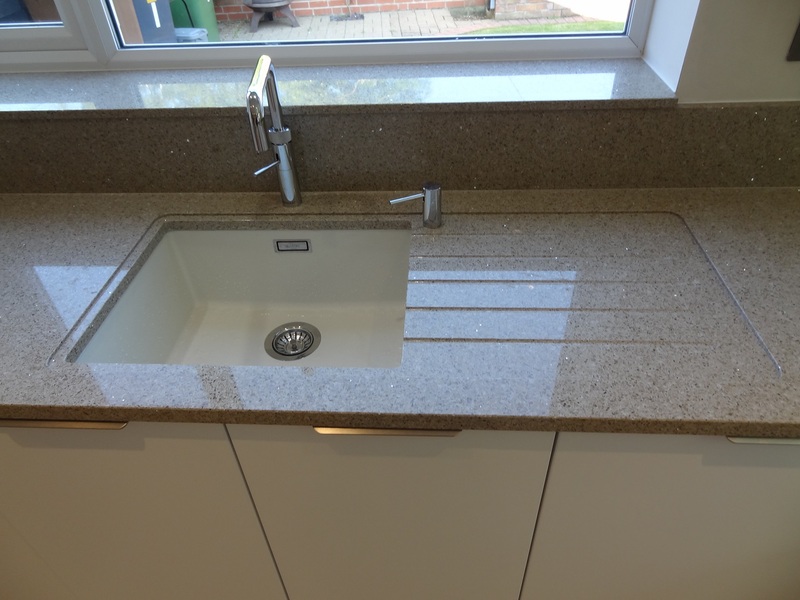 Installed next to the sink is the Quooker Fusion boiling water tap and soap dispenser.